Made to Order; normally delivered in 15 - 17 weeks. Spread the cost from only £223.75 a month with Interest Free Credit. 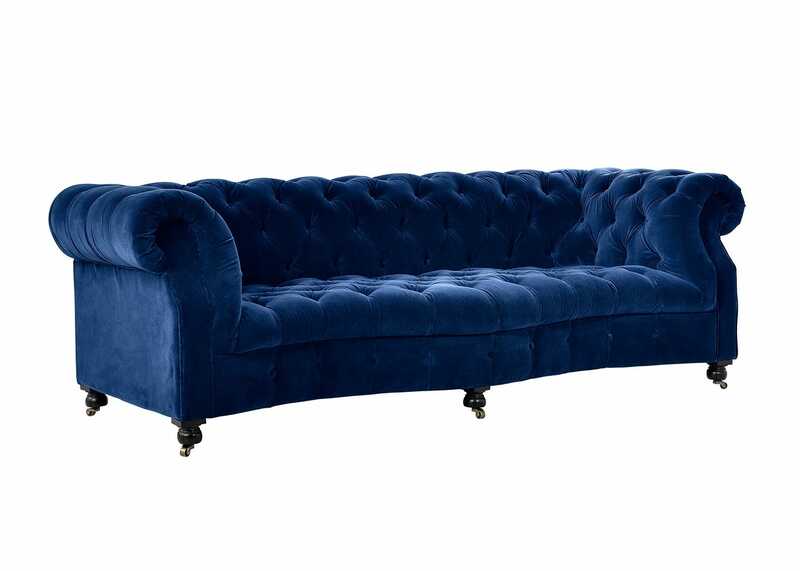 A fully buttoned-up Chesterfield-style sofa with elegant contours and classic hand-tufting. The snaking curve at the front lends the Serpentine a softer, more feminine silhouette. 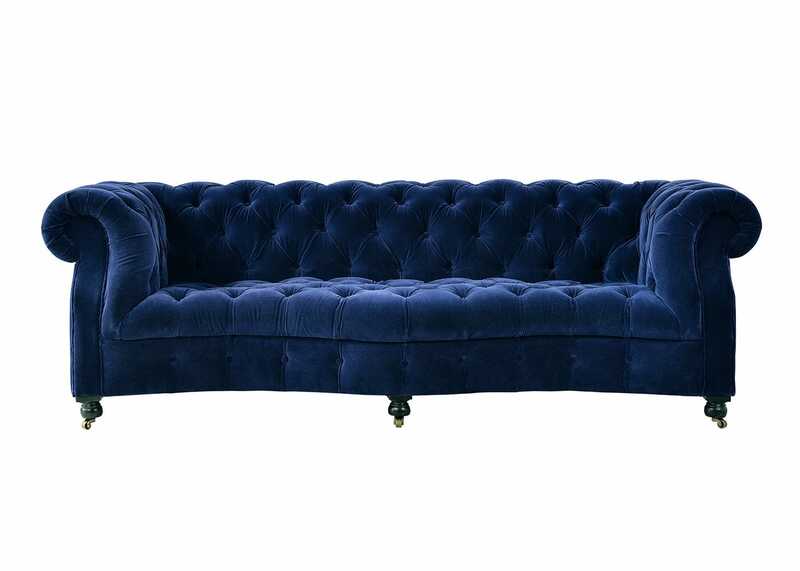 Shown in soft and silky Revival Velvet Navy, with an intensely rich colour. 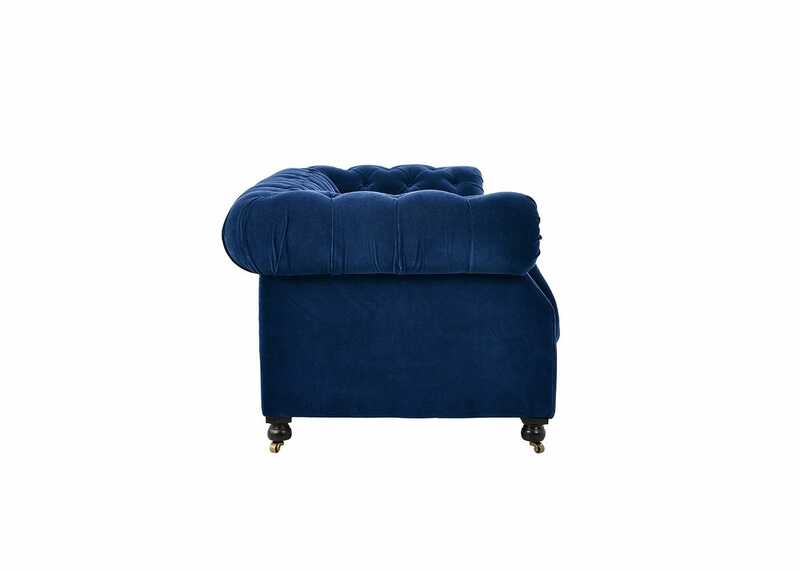 Revival Velvet has an elegant short pile with a subtle, glamorous sheen. Handcrafted using corner blocked joinery. 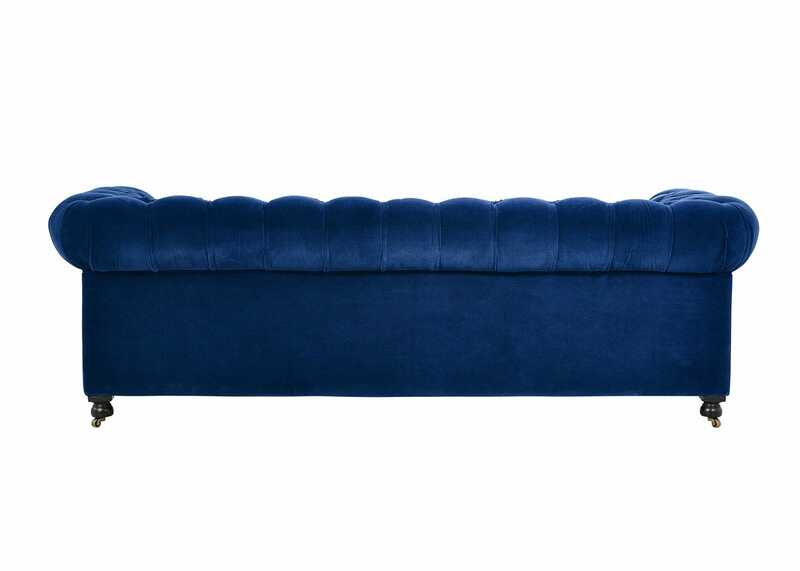 Materials used provide heightened comfort and optimum support. Timeless design to suit any style of interior. More finishes available in store. Pocket sprung seat suspension with elastic webbing. Spot clean using a mild, water-free solvent or dry cleaning product and follow the manufacturer’s directions. Water-based cleaning products may create water stains. Always test the cleaning product on an inconspicuous area first. A very soft brush (such as a baby’s hairbrush) can be used to brush the nap of the upholstery while cleaning. 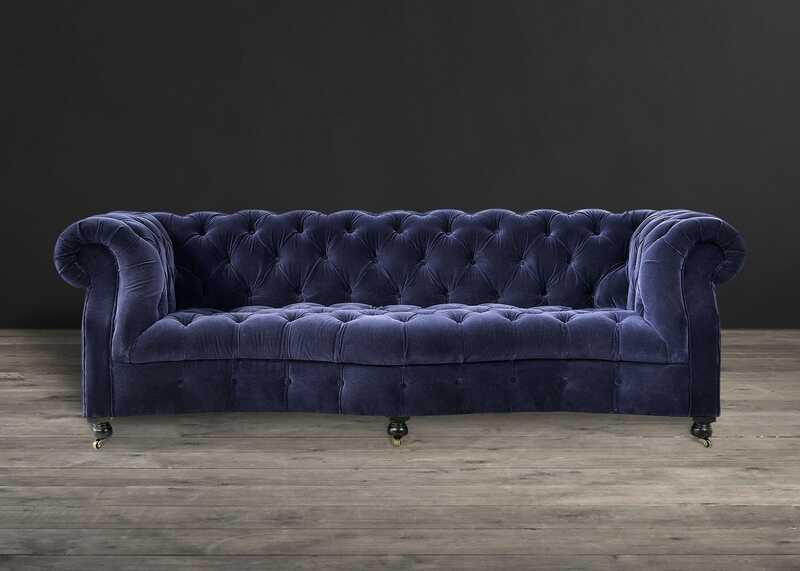 Note, the colour of the upholstery may appear to change depending on the direction of the nap and the angle the product is viewed from. For more extensive cleaning consult a professional upholstery cleaner.